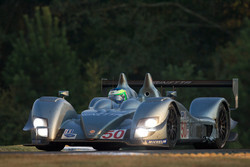 Le Mans Series stalwarts Quifel-ASM Team will have a new weapon of choice as it embarks on the 2009 season. The Portuguese team announced Tuesday that it has purchased a Ginetta-Zytek 09S for the LM P2 category of the European-based championship, as well as for a bid for its fourth consecutive appearance in the 24 Hours of Le Mans. #50 Team LNT Ginetta - Zytek 07S Zytek: Danny Watts, Olivier Pla. The Lisbon-based squad is the first customer of Zytek's latest generation prototype, based on the 07S model that was seen in both LM P1 and P2 competition over the past two seasons. The 09S features a revised aerodynamic package and is powered by a new version of the 3.4-liter Zytek ZG348 engine. The power plant is also 3kg lighter and has small improvements in both power and torque. "Our previous car gave us a lot of joyful moments, but this championship has evolved a lot over the last few years," said team director Antonio Simoes. "We carefully considered our new choice of car, and the fact that Zytek Engineering completely designs and produces the car, including the chassis, engine, gearbox, components and all of the electrics, contributed to our choosing the 09S. We are confident that we will develop a good relationship with Zytek." After four wins and runner-up finishes in the P2 teams' championship in 2006 and 2007, the team's Lola B05/40 AER struggled to match the pace of the newer prototypes this season from Porsche, Zytek and others. 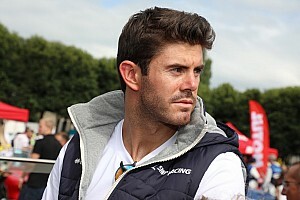 Drivers Olivier Pla and Miguel Amaral claimed only one podium finish, a third place at the season-ending round at Silverstone, and winded up sixth in the teams' championship. Pla tested the 07S earlier this year prior to teaming with Danny Watts in Team LNT's P1 Ginetta-Zytek entry at the Petit Le Mans, a race which saw the silver machine lead overall in the early stages. The 27-year-old GP2 veteran was instantly impressed with the car's versatility and speed. 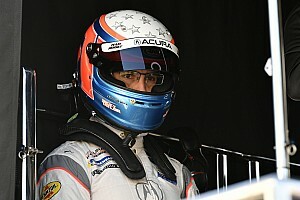 "I can see the car has a big, big potential," he said prior to the Petit Le Mans race. RBoth the engine and chassis appear to be very good and there is still a lot of development to come. 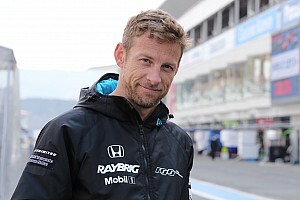 For me, it is the car to give a hard time to the Porsches." In recent years, Zytek has indeed made an impact on Le Mans-style prototype racing, having been successful on both sides of the Atlantic. In 2007, Binnie Motorsports' Zytek-powered Lola took LM P2 class honors at the 24 Hours of Le Mans, while the British constructor recently announced a partnership with Corsa Motorsports to campaign a hybrid version Ginetta-Zytek 07S in the 2009 American Le Mans Series. "We are delighted to be working with a top level operation like Quifel-ASM," said Zytek Engineering operations director John Manchester. "Recent performances in the USA have shown just how competitive the Zytek package is and we now look forward to a successful 2009 season in Europe with the Quifel-ASM team." Next year's Le Mans Series season will feature a number of shakeups, including the elimination of tire warmers, new pit stop procedures and engine restrictor size changes. Power plants will now also have to last two consecutive races, part of the Automobile Club de l'Ouest's new cost-cutting measures. Quifel-ASM's competition in the P2 category is also up for question, as a number of teams will not return in 2009. Embassy Racing and Essex Racing have discontinued its programs, while Horag Racing is looking for partners to fund its Porsche RS Spyder. After winning the 24 Hours of Le Mans and Le Mans Series titles, Van Merksteijn Motorsport will also not be back, but there's a strong chance the their RS Spyder will be seen in the hands of another Dutch team next year.